Enjoying an extremely convenient position in a very popular area with excellent road links, a parcel of land with a maximum width of 38m and maximum depth of 40m. 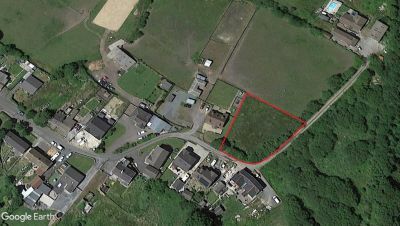 Outline Planning Consent has been granted by Carmarthenshire County Council, for the construction of 2no. detached properties. Further details on request, or the Planning Application and associated documents can be viewed online by visiting www.carmarthenshire.gov.wales - Application No. W/36320. We understand that Mains drainage, electricity and water are easily accessible. Gas is not currently available in the area.